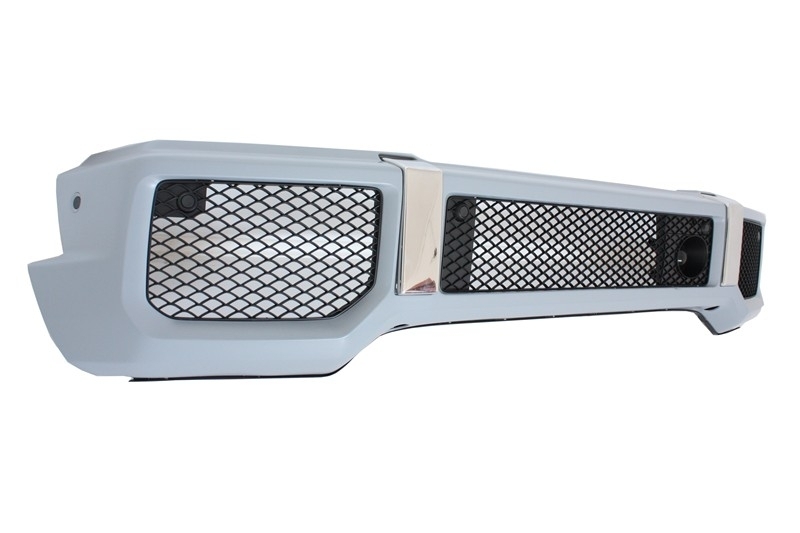 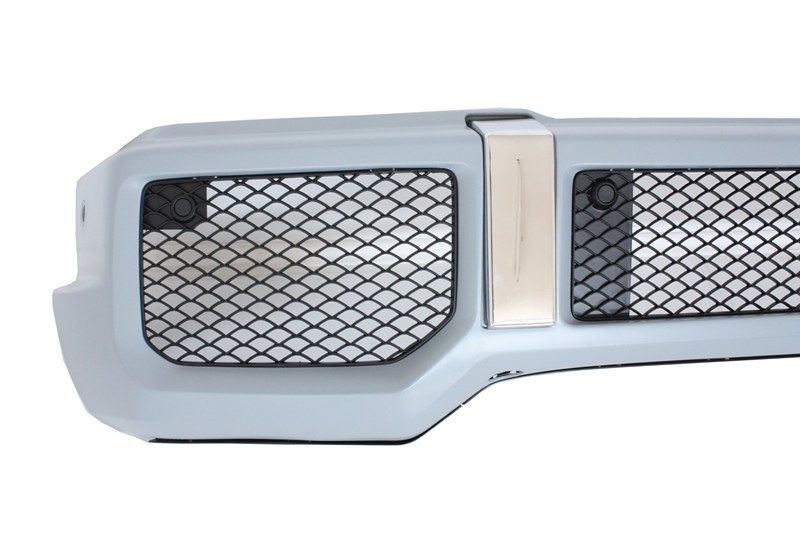 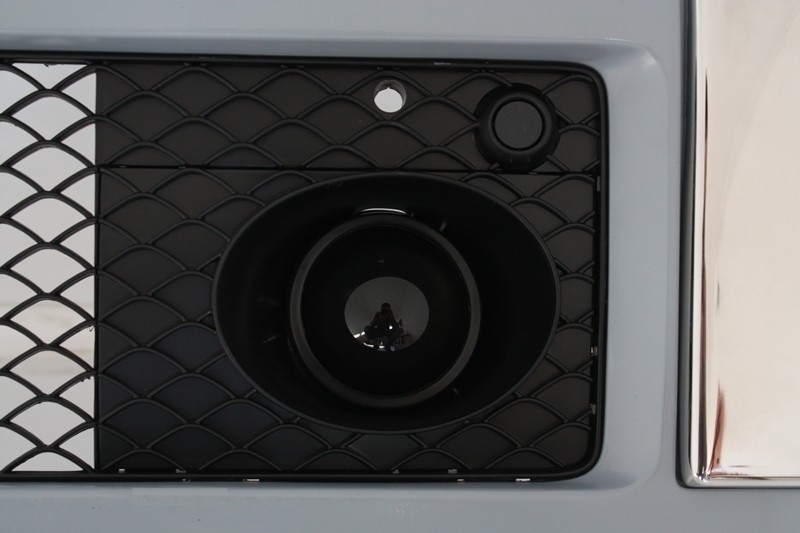 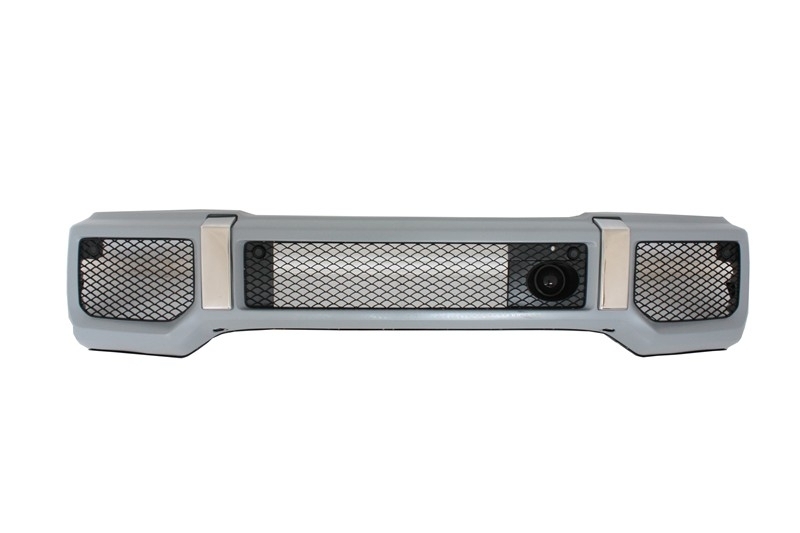 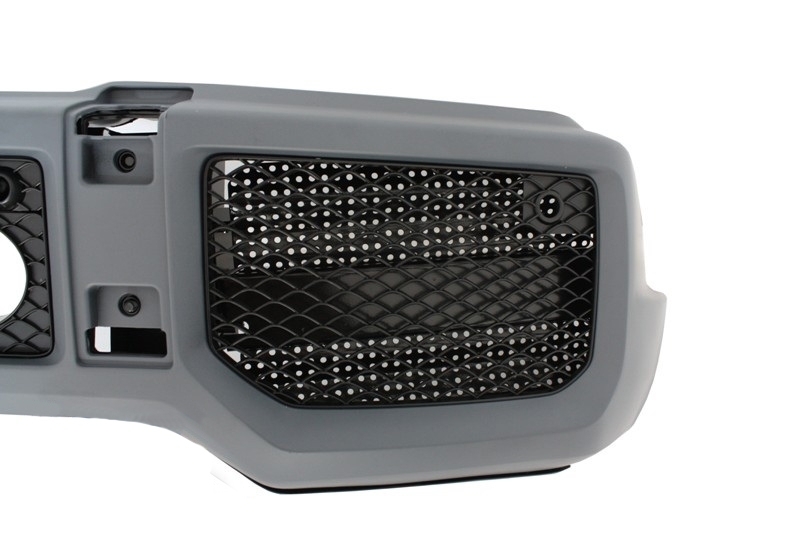 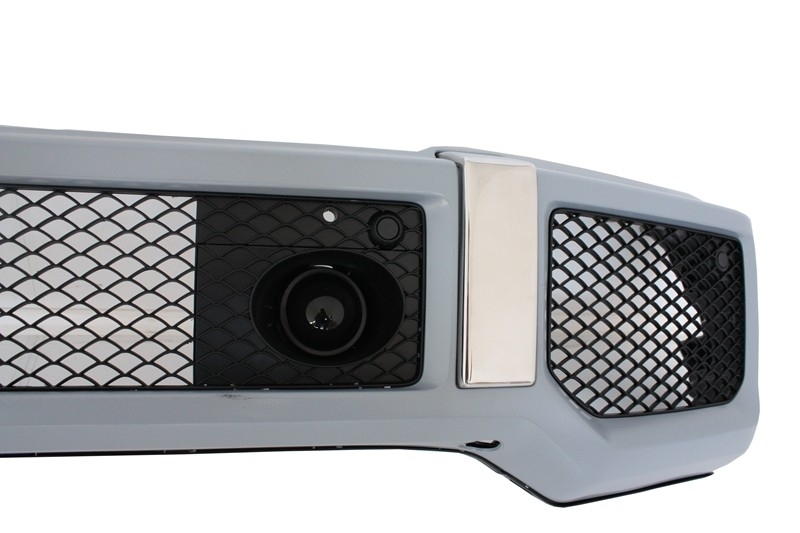 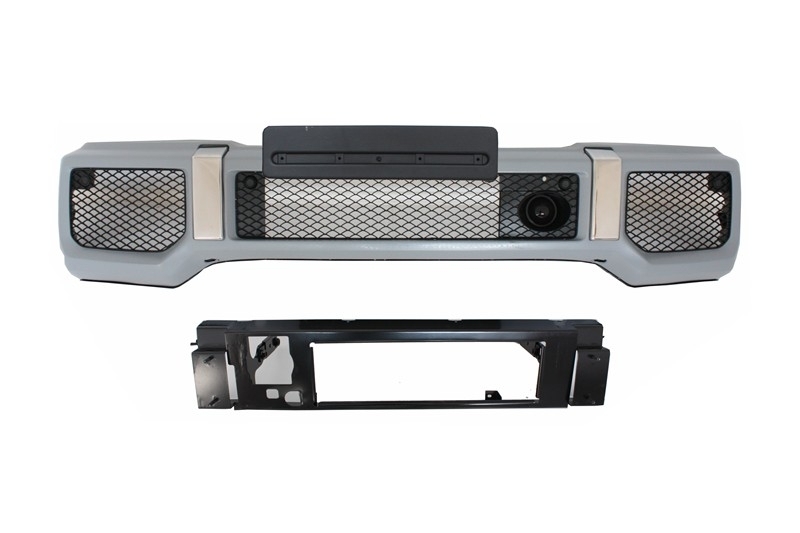 Front Bumper is equipped with front bumper steel reinforcement, central grille, side grilles, aluminium ornaments, intercooler grilles, dummy Distronic/Radar Sensor and license plate support. 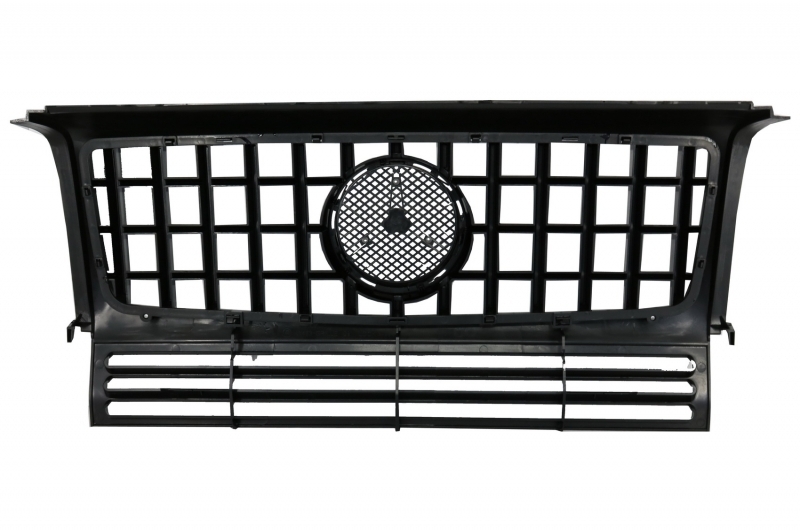 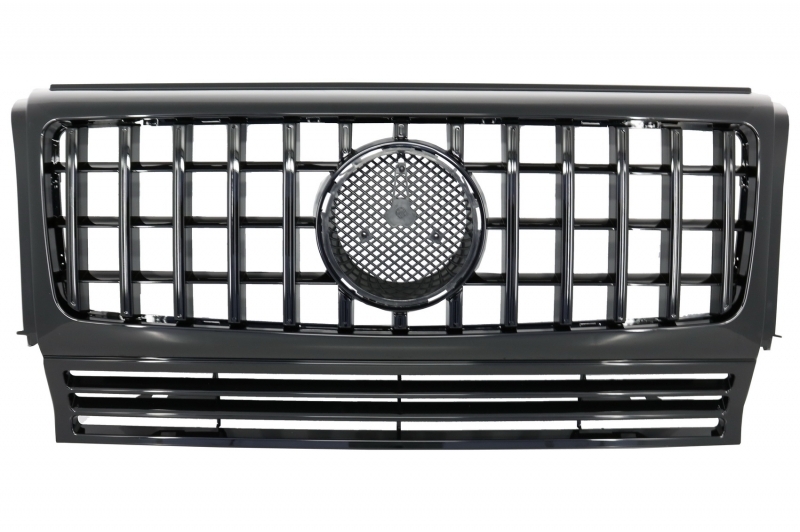 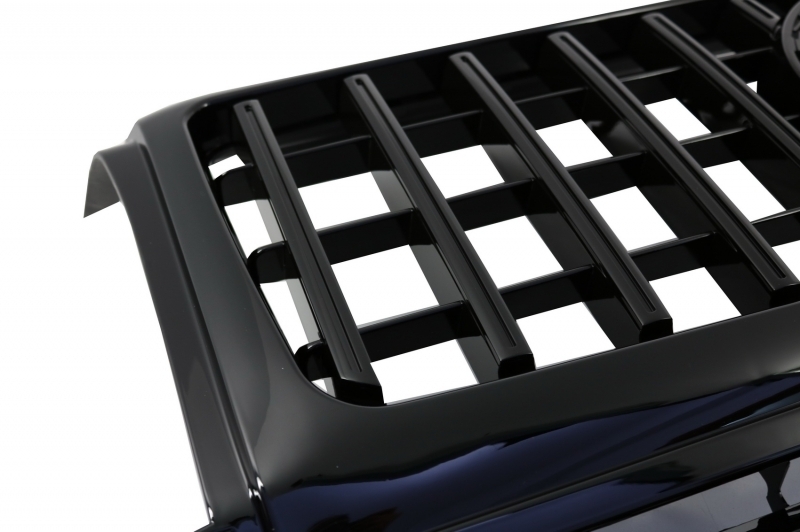 Grille crafted in high quality OEM plastics and aluminium. 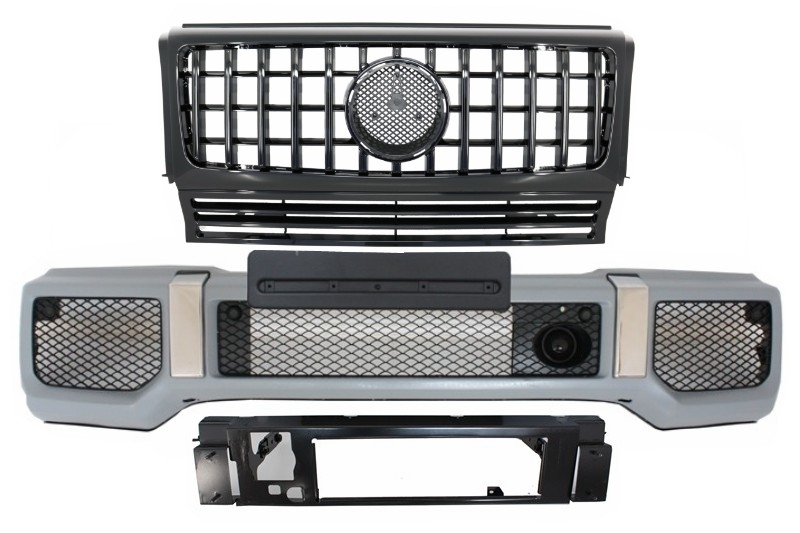 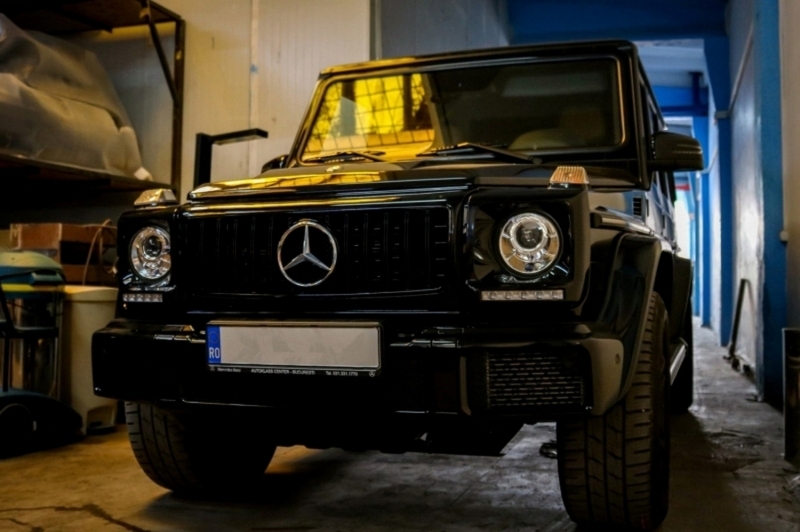 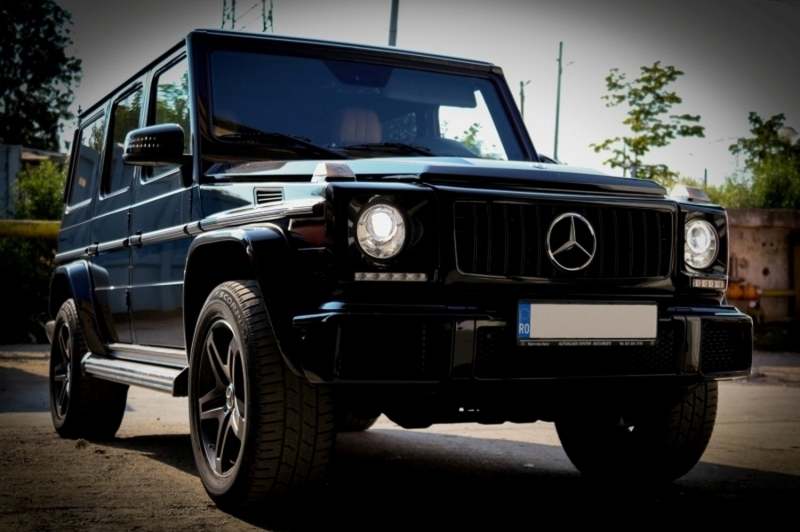 Buy it now Front Bumper Mercedes G65 AMG Design Benz G-Class W463 (1989-2017) with Grille G63 GT-R Panamericana Design!